The Horn Africa's Journal Analyzes the Political Events in East Africa! The Horn of Africa's Journal! The Horn of Africa's Journal follows the political events and the political development in East Africa to analyze the political situations in the area. Subscribe to the political newsletter, follow it in your social media and email services such as Yahoo email, or like it, tweet it and pin the pictures. I organized the Horn of Africa's Journal, as the site map 29, because we have so many editions of the political newsletter on the Horn Africa's Network and the readers and the visitors of the website have submitted so many comments on the political development in East Africa. 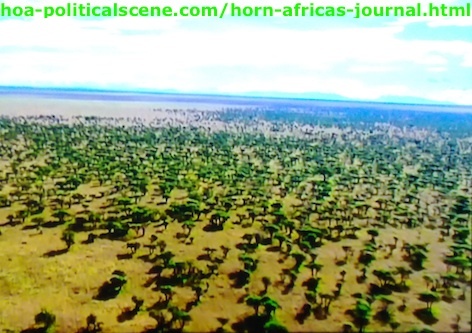 Horn of Africa's Journal: East Africa's Rainforest Dried and the Savannah Replaced It in Many Places in the Horn of Africa. The Political Authorities in Many Countries are Responsible of Burning the Rainforest and Burning the People Too on Tribal and Religious Divisions. Since the HOA's Comprehensive Projects have grown faster and bigger, we needed to organize the newsletters on site maps to facilitate linking to these issues of the political newsletter through some site maps. The Horn of Africa's Journal or the site map 29 includes links to 9 editions of the HOA's PoliticalScene Newsletter from the edition number 10 to the edition number 18, with brief introductions to the main topics in each edition of the newsletter. However, this site map includes many sections as there are more than 50 editions of the newsletter and more than 10 political notes until now and these numbers increase gradually. You can read this intro for more information about the development of the Horn of Africa's Journal as a site map or skip and go directly to the editions of the Horn of Africa's Journal below. The newsletter covers the political events in the Horn of Africa through news and political analyses. The archives of 22 editions of the newsletter are at HOA Political Scene Back Issues with only links included. 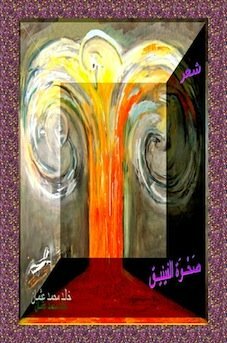 You will get here on the Horn of Africa's Journal some descriptions about the content of each edition. But, most importantly, I encourage you to subscribe to this newsletter by filling the form you see at the top of the navigation bar and confirm your subscription, since this is a double opt-in list to eliminate spam. When you confirm your subscription to the HOA Political Scene Newsletter, you will get some invaluable ebooks, You can use these e-books to maintain your knowledge or to develop something useful from them and use your passion for politics, business, or anything on the internet to make your life better. The Horn of Africa's Journal also includes links to other site maps readers of the newsletter and visitors of the website have built gradually on the Horn of Africa's network. Thanks to them and you, even if you didn't become a member of this list and part of the USHA Framework, which aims to build AWARENESS for the nationals in East Africa to build the United States of the Horn of Africa (USHA). Horn of Africa's Journal: Customs of Herders in East Africa. There are Different, but Rich Customs Herders in East Africa have Despite the Hard Living Conditions, Where Political Elites Control by Iron and Fire to Keep Wealth and Power. This is the 10th issue of the Horn of Africa's political newsletter that started at the eve of last Christmas. The newsletter has been online since 2004 as the Ezine Act to cover political topics. I supported it at that time by the Wise Biz, as business and love newsletter. The 10th editions was about the elections in Ethiopia and Sudan, where the authorities always forge the elections to remain in power, as long as they wish. In addition there are some highlights on the development of the network. This edition was about the post-election violence in Kenya that led the International Criminal Court (ICC) to investigate the situations. The 11th edition includes also updates about the political situations in Sudan and other countries in the region, in addition to what happens in the HOA's network. This edition has more political updates following the news from the Horn of Africa and the progress we made at the website. It highlights the events in the political scene in the area. It has also irregular column about personal kitchen's recipes for men. The 13th edition has followed the Sudanese elections and evaluated the results in the absence of democracy and stability in the country. The edition criticizes the elections commission. It also contains the regular network-updates at the HOA Political Scene. In addition to what happens at HOA Political Scene Blog since the last week, the 14th edition highlights the efforts of the African Peacekeeping Forces in Somalia. Do you think that the African mission in Somalia has achieved anything? Use the form on this page to answer this question. The 15th edition asked about the importance of the Sudanese national consensus and the dialogues between the political parties in Sudan that time. There were some hopes that the parties in the opposition could achieve their goals. But now, we have clear views that the Sudanese opposition will never achieve any progress unless it proves that it is real and is not weak. Could the Sudanese Political Parties prove that? I personally, don't think so. So, what do you think? Could they? Use the form to answer this question. 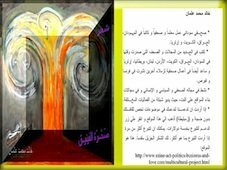 The 16th edition has some political news updates and analyses to uncover the political magic, the politics of myth and the superstitions, in addition to political comments submitted by concerned visitors. It calls readers to bring their views in and discuss the political deterioration in the Horn of Africa. Here are some weekly HOA news updates. In addition, I decided to help some commentators on the Horn of Africa's Political Scene be authors, if they wished to be so. The 17th edition welcomes new subscribers and active participants and introduces a new interface for active reporters and commentators through the HOAs Journalists Project. The 18th edition continues the Horn of Africa's news updates and political analyses. It also welcomes 23 new subscribers to the newsletter that time. All those editions of the Horn Africa's political newsletter follow also the development of this website and the articles and comments readers wrote in this network, all of which you can view and read on the main site maps and the readers site maps below. The Horn Africa's Journal grows steadily. Therefore, we have many links to the new editions of the newsletter in other site maps. You can reach those editions at the back issues link and the rest of the site maps shown above. Better, subscribe to the Horn Africa's Journal to follow our updates. You can also share the Horn of Africa's Journal, the Site Map 29 in HOA with your social media services through any of the buttons on the page. Please, "like" it using the small button at the top of the right column and pin the pictures. Thanks. Want to contribute to the Horn Africa's Journal or this network and write about the political development in any state in the Horn of Africa? Use the following form on the Horn Africas Journal to comment on it. Please enter your name, location, email address and check the box that asks you if you want to receive notifications about replies to your article or comment. The system will not publish your email address. This automated system will send you only notifications to follow up. However, if you want to comment or write about your city, village, or Any Beautiful City in East Africa, such as Gondar and Kordofan, please click on the link above to do that at my daughter's website. Thank you very much. Read also about the tools I am using to empower the Horn Africas Journal and the entire website. Who knows, you may decide to use them to turn your passion for politics, or any subject into good income opportunity online. Comments on Horn Africas Journal appear at the second section of the page, just above this paragraph and below the comment form. Publish Any Journal... With Us!